We have often talked about how conveniently located downtown Los Angeles is from Downey. 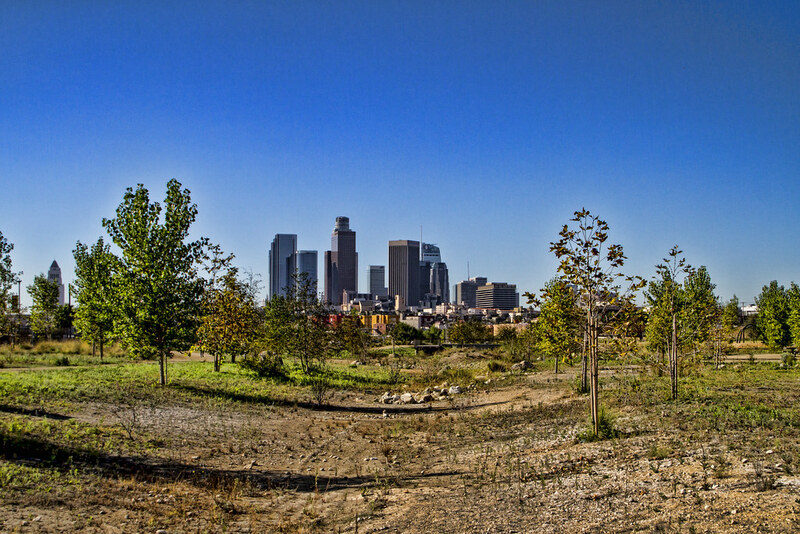 And I am always looking for another view of the LA skyline. 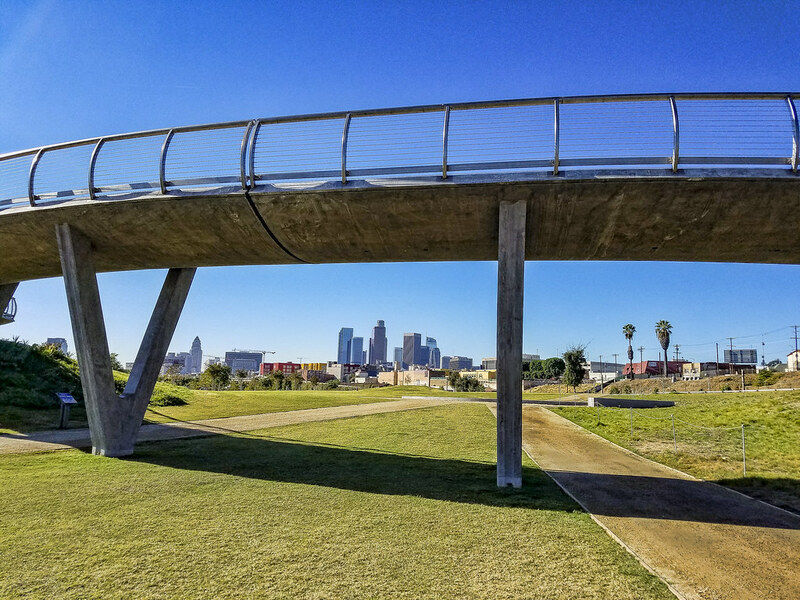 This Saturday we had an easy 20-minute drive to downtown LA where we enjoyed walking around the 32-acre Los Angeles State Historic Park directly adjacent to Chinatown. Not only is it a beautiful setting with a variety of different trees and plantings, it has incorporated some of the history of the area. The Zanja Madre—"Mother Ditch"—is the original aqueduct that brought water to the Pueblo de Los Angeles from the Río Porciuncula. The original open, earthen ditch was completed by community laborers within a month of founding the pueblo.